Fruits are one of the tastiest and healthiest foods on the planet. They are full of natural vitamins, minerals, fiber, phytochemicals and antioxidants – all of which contribute towards vibrant health and can help protect against disease. Countless health studies recommend that fruits should form a significant part of our daily diet. That’s why Government health departments around the world recommend we eat at least 5 portions-a-day. 100% Pure, Natural & Delicious! To ensure our customers receive the best tasting smoothie with the maximum nutritional benefit – our Smoothies are freshly made to order, one loving glass at a time. Our Smoothies are made from fruit that has been Individually Quick Frozen (IQF) – which locks in the flavour, goodness and the nutrition of the fruit – for life. The super fast IQF process rapidly flash-freezes our fruit in only 1 or 2 seconds, instead of the old fashioned way of over several hours. And unlike bottled smoothies, our IQF smoothies are not pasteurized so each Smoothie retains more of the natural goodness and taste of freshly picked fruit. According to Fitness Magazine IQF frozen fruit has equal nutritional value to, if not more, than the fruit you find on the supermarket shelves. Our Smoothies are pure, natural and delicious made from natural fruit and berries. They are supplied in a sachet of pre-mixed ingredients and prepared when the consumer places their order. We don’t add any artificial preservatives, colours, flavourings or added sugars to our smoothies. No added sugar means that our smoothies are a great choice for kids of all ages! Our smoothies contain the natural fibre of the fruit – which is great for maintaining a healthy diet. They are virtually fat free and can be consumed at any time to provide a delicious and nutritional pick-me-up. Why do you use frozen fruit? 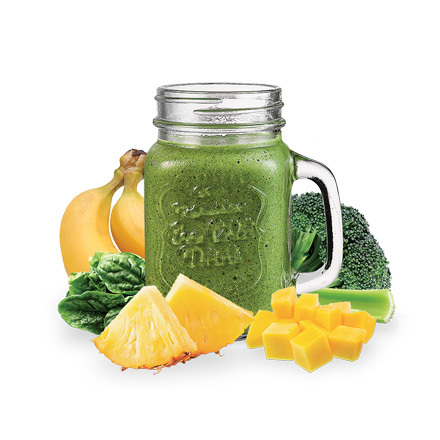 To ensure our customers receive the best tasting smoothies with the maximum nutritional benefit – we make all of our smoothies with Individually Quick Frozen (IQF) fruits. This means we have access to the highest quality fruits, all year round and we know that no damaged or poor quality fruit will ever make its way into one of our smoothies. Guaranteed. According to Fitness Magazine frozen fruit can contain just as much and very often more nutritional value than the “fresh” fruit you find on the supermarket shelves. There have been numerous studies around the world that confirm that IQF fruits provide at least the same essential nutrients and health benefits as fresh fruit and that the nutritional qualities are naturally preserved. The Best Taste IQF fruit tastes better than pasteurized fruit. Smoothies that you find on the supermarket shelves in bottles or cartons have been pasteurized. This means the fruit has been heated to a high temperature, which reduces the nutritional content and changes the flavour of the fruit from “fresh” to “cooked”. Our IQF frozen fruit is not pasteurized and retains the taste, goodness, flavour and nutrition of fresh fruit. Our fruit is simply picked, washed, cut and frozen – with no cooking at any time, whatsoever. Safer, Easier Shipping – IQF quick-frozen fruit travels extremely well with zero or minimal deterioration in quality, nutritional profile or appearance. Fresh fruit is very susceptible to bruising and damage, and nutritional loss during handling, transport and storage. Our IQF quick-frozen fruit, handles, travels and stores without any noticeable damage to taste, appearance or nutritional content. Every of our Smoothies contains 2.5 portions of the government’s recommended daily allowance of of fruit. That is half of the daily recommended 5 portions of fruit a day – in one drink! Each IQF smoothie sachet has been analyzed by an independent, internationally recognized laboratory so we know exactly what’s in each and every smoothie sachet. Our products contain NO artificial preservatives, sweeteners, added sugars or colourings. Our products are unpasteurized. Smoothies in bottles have been pasteurized. We never use ice as a filler – our IQF smoothies are made only from 100% pure fruit – and sometimes a touch of yoghurt or protein. We’ve developed our smoothie recipes over many years, ensuring they’re the best on the market. Your customers will keep coming back for more! For retailers we provide unbeatable Customer Service with flexible, easy ordering and rapid delivery. For Distributors we provide an unrivaled Support Package to help you sell our products easily and quickly. If you run a cafe or snack bar we recommend you use a commercial blender to mix the quick frozen fruit sachets and some freezer space to store them. If you want to make our smoothies at home, you can use a domestic blender. 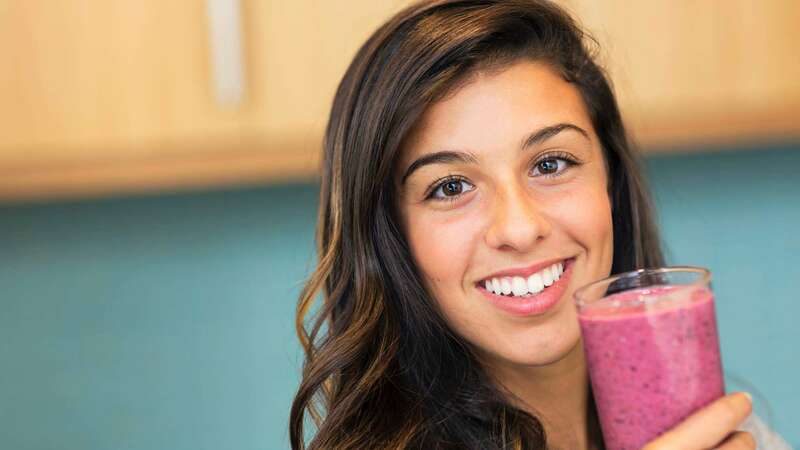 Will you be developing more smoothies or other products? Definitely! We are passionate about Smoothies and are always looking for ways to improve everything we do. We are involved in the continual development of new flavours, products and concepts. In fact we have the world’s first sugar free, preservative free milkshakes plus our new Frappe Range. If you have an idea for a new product or a great Smoothie recipe – tell us about it. We may end up making it, and if we do, we’ll give you 2,000 Smoothies for free! How lovely is that? Do you have special trade prices for Distributors or cafeteria chains? Yes we do. We supply many distributors and cafeteria chains and we know how important it is that you purchase at a competitive price. Please visit contact us for more information.